Hi everyone! Sorry I haven't been around as much lately, I've been a little overwhelmed and exhausted from work. In addition, I've been experiencing a mini-crisis with my writing. Basically, I've just felt that my writing is terrible, my current story is a mess (both structurally and content-wise), etc. But I'm trying to not put myself down because that doesn't help things at all. I'm also going to make a bigger effort to be more active on here. Part of the reason my vampire story isn't going so well is because I think I planned too much. Planning is a great tool and I usually outline what events I want to happen through the course of the story. But here I'm talking more about world-building. For this story, I really wanted to avoid it becoming just another vampire story, so I spent a lot of time thinking about the way vampires are turned (through ritual blood magick and/or demon contracting), their physical and psychological abilities, how they interact with humans, their underground city and so on. That was all well and good, but I kind of skimped out on characters and plot. That was one really bad move. 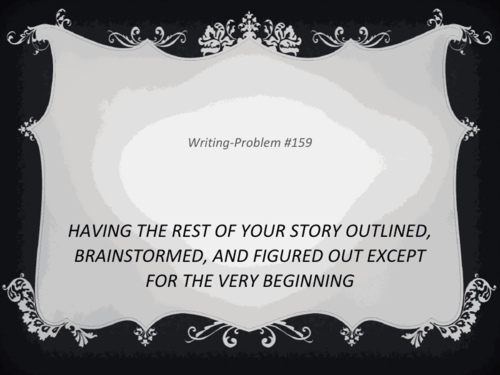 Even worse was that when I began writing, I didn't really know how to incorporate backstory and world-building details into the story along with a fairly complicated plot. I guess in summary, I was reaching for too many things all at once. I eventually want to finish this story, and will probably be continuing to write it at a slower rate, but for now I think I need a little break from it. Now, in my experience (both from my own writing and feedback from other writers I know), everyone has a different way of prepping for a story. Some people plan out everything in a scene, from the main objective of the protagonist down to the tiny wine stain on the rug that the friend points out. Others like to have a vague idea of what is going to happen and dive right on in, letting their characters lead the way. I personally like a little of both. I like the security and reassurance of an outline, but at the same time I like flexibility just in case something arises organically from the story itself. The same thing goes for world building I've discovered. I write a lot of science fiction/fantasy/horror/steampunk stories so I usually have to at least adapt the real world if not create a brand new one. Usually, I do very little in-depth planning; I have an image in mind of what the world looks like, what the technology is like, and so on but rarely more than that. That works for me, not the deep planning that I tried for my previous story. I just get too overwhelmed. I can handle a group of characters well, but a ton of information I want to incorporate is a bit much for me. Maybe I just need practice. Like I said before, not every writer does it this way. One of my friends really loves world building, since he comes from a background of playing a lot of table top RPGs. Another friend spends most of his time planning character motivation/backstory and vaguely sketches out what events he'd like to see. 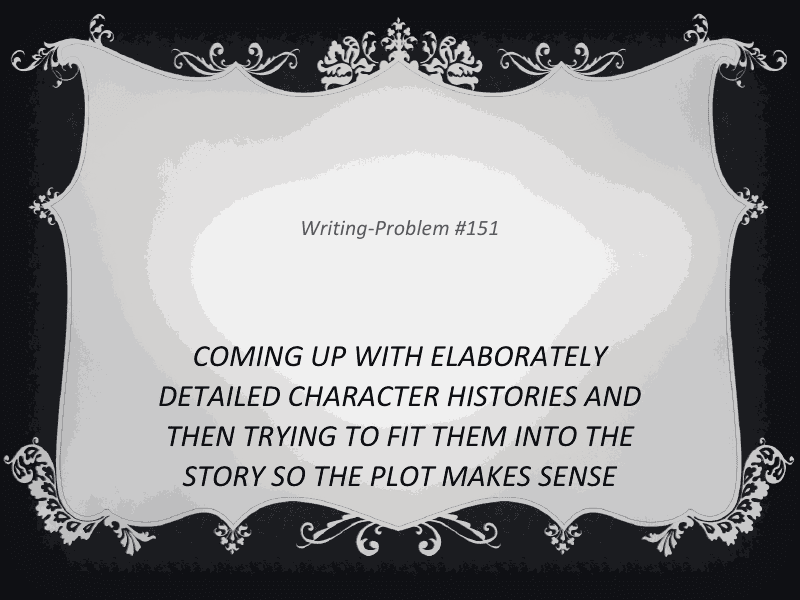 For me, plot usually comes first along with the main protagonist and antagonist. For all of you writers out there (whether you write all the time or just sometimes for fun), how do you prefer to plan? Do you spend days creating worlds or just write on the high seas of spontaneous imagination? And for you readers out there, which types of stories do you prefer to read? Do you like lots of description of scenery, social structures, and cultures or do you prefer a brief snapshot of a place and more knowledge of characters? I usually prefer brief snapshots, snippets of striking imagery. I prefer to write with spontaneity, and whenever I try to plan the plot or my next step, then the magic dies and so does my interest in writing the story. This is probably why I prefer very short stories. That's a good point. I do feel that some of the fun gets sapped out if the story is already planned out. There's no more mystery to the writing experience if the writer knows exactly what is going to happen when.